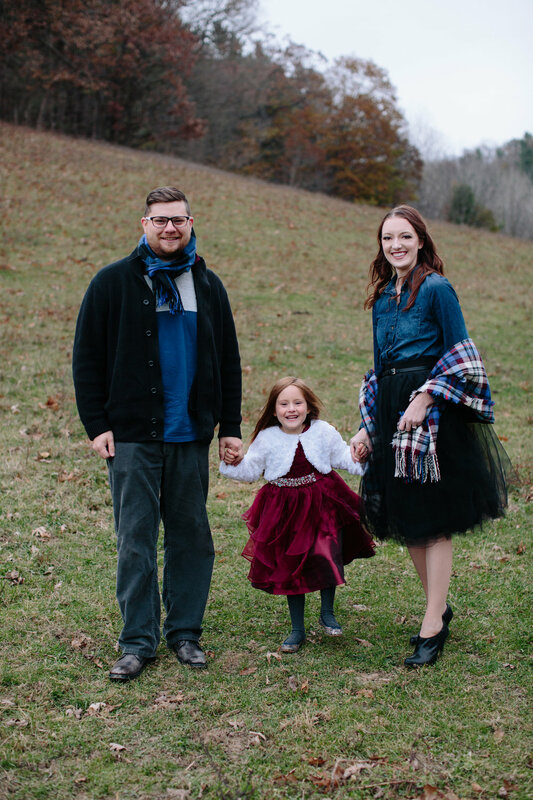 In November, I realized that we hadn't had a professional photo of our family taken since Kate was just wee (about 2.5 years old). Since she was newly five it became evident that we needed to correct this with a few updated family photos. Luckily, one of our favorite local photographers, Krystal, decided to offer some family sessions and we jumped at the opportunity. 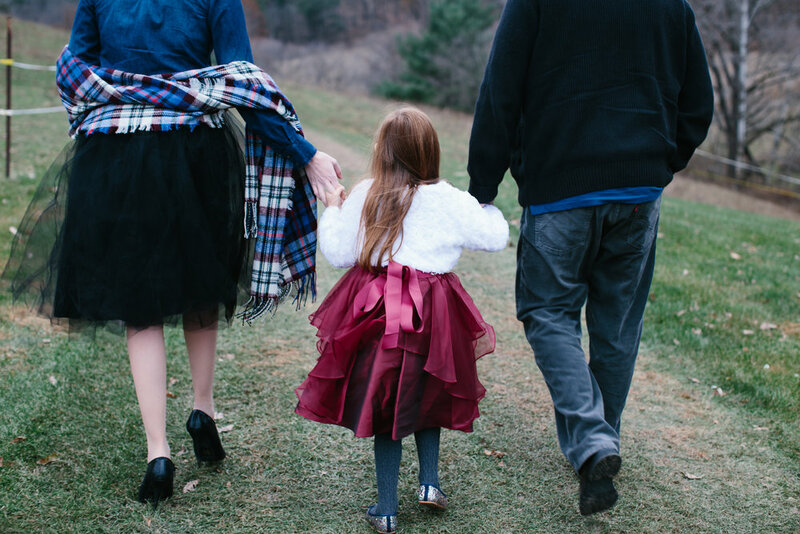 The last time we had family photos taken with her were in 90-degree temperatures with almost 100% humidity; the weather this time was the polar opposite of our last shoot, including frigid temps and brutal wind. But like true Midwesterners, we ditched the jackets and hiked around her farm for a few festive snaps. It was absolutely freezing. Literally. Kate kept wanting to snuggle so she enjoyed the couch photos. But Krystal, a mother in her own right, knew exactly how to squeeze out some smiles from our icicle of a toddler. The last time we had photos taken at Krystal's farm, Kate was obsessed with the tree swing. This time was no exception and even in her holiday finery she was insistent that we take a few moments to swing. 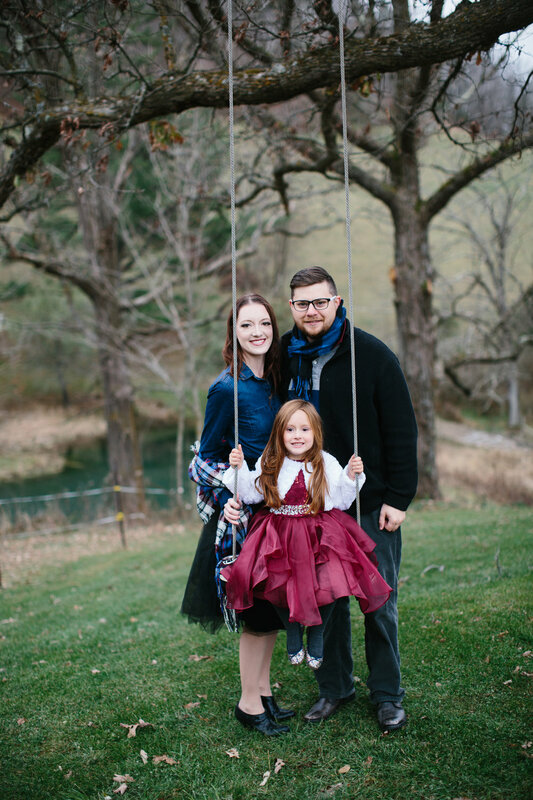 Although it was positively polar, I am so thankful for these shots of the three of us. I am also convinced that our outfit choices were fate. That vintage, cranberry colored couch? 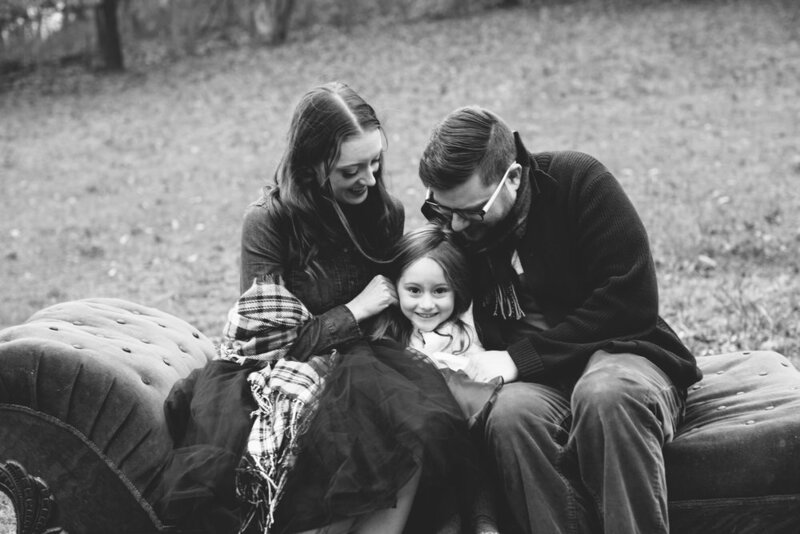 *swoon* Thank you Krystal for once again capturing our growing family!